Still looking for ‘something blue’ for your wedding day? 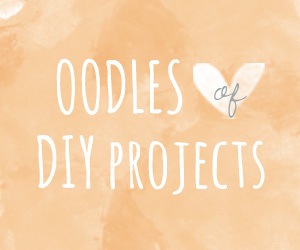 We’ve made a list of some of our favorite Etsy finds that work as blue wedding accessories. 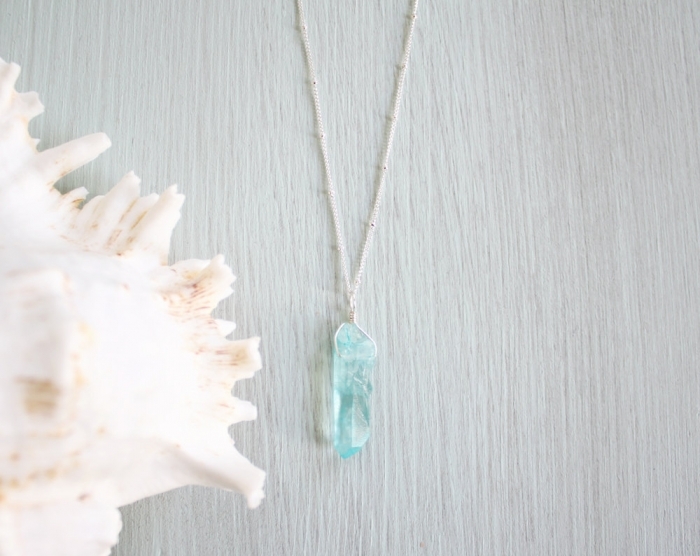 Our only necklace to make our list is this lovely apatite gemstone piece by MoonTideJewellery . A blue necklace is perfect if you want to keep your “something blue” hidden, by tucking it into your dress. 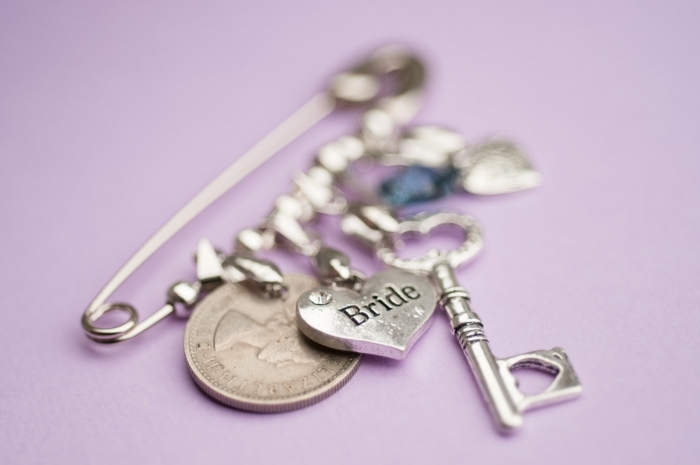 After the wedding, this necklace could easily be hung up somewhere special, or worn every day! 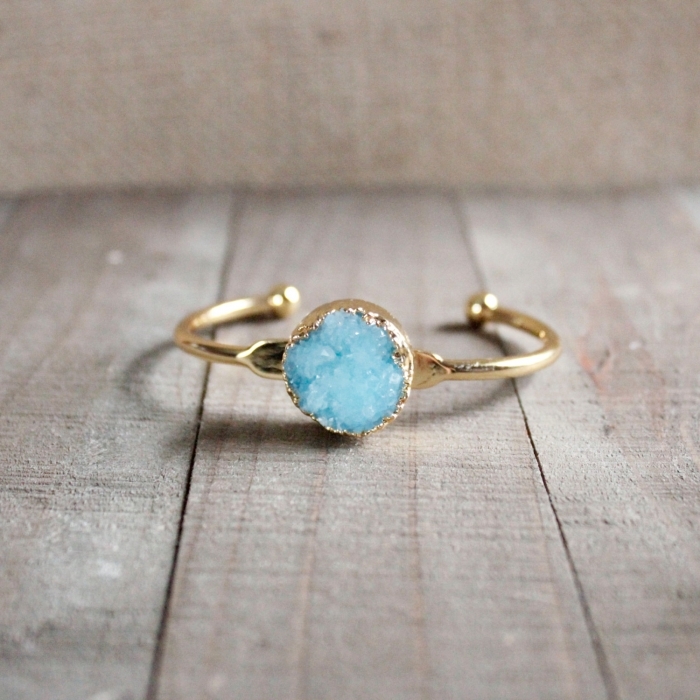 For a little splash of blue, this dainty gold cuff by EwelinaPas is decorated with a small aqua stone. We love how easily this bracelet brings a bit of color to your overall look without being over-bearing. 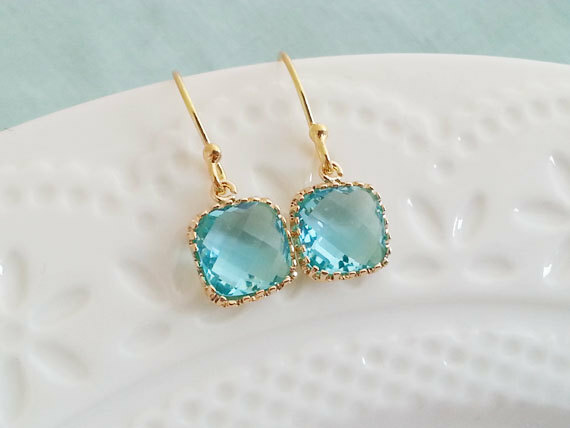 If you haven’t found your wedding earrings yet, this pair of aquamarine earrings by TwoCloudsJewelry are not only beautiful, they are the definition of the perfect “something blue” for your big day. 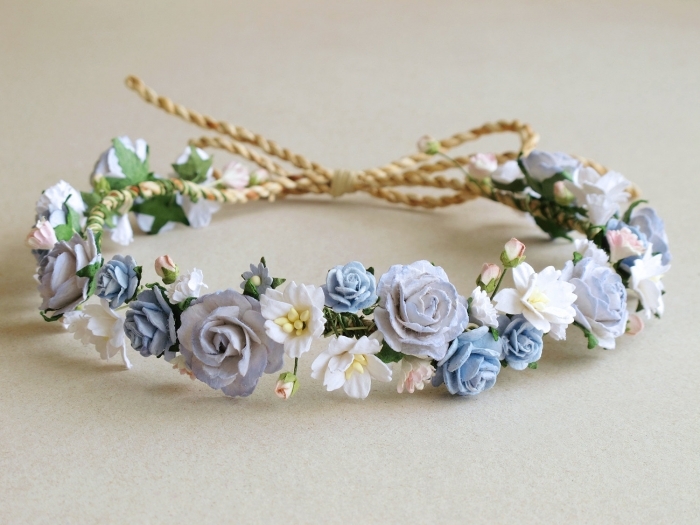 We are completely in love with this beautiful paper flower crown by SQUISHnCHIPS. Mixed in with white, pink, and yellow, this crown is a perfect “something blue”. 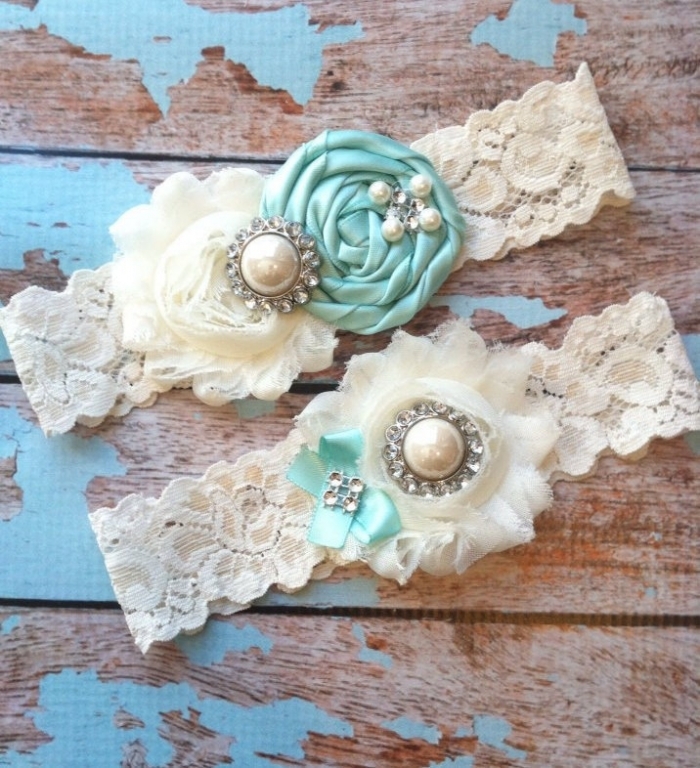 This gorgeous set of blue flowered garters by FallenStarCoutureInc is a great way to add a bit of blue, and a bit of bling, at the same time. 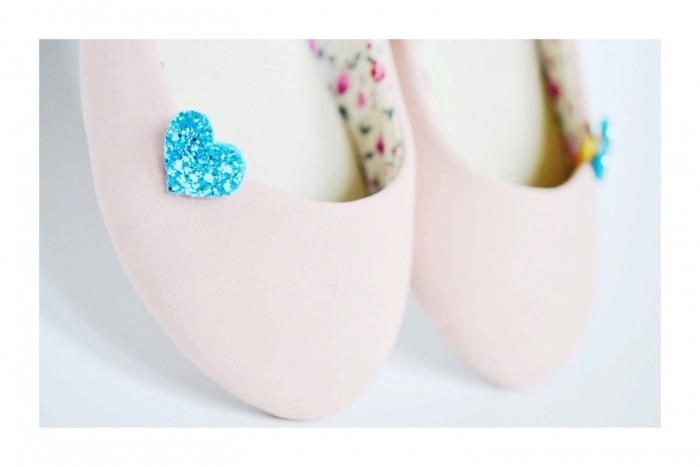 This stunning pair of glitter heels by ammiejoyce is girly and bold. We absolutely love a good pair of statement heels! For a more subtle something blue, order this little blue heart clip by PollyMcGeary . You could even slip this blue heart into your sleeve or the inside of your dress if you want to keep your something blue a secret. If you want to keep with tradition, but you don’t feel like wearing anything blue, let this ring box by BellaBrideCreations do it for you. 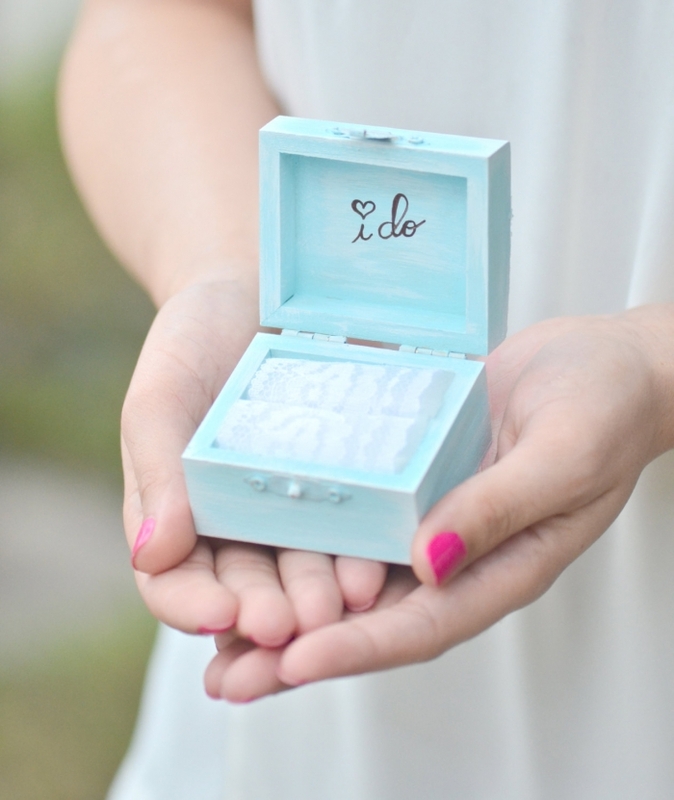 Plus, you can use this keepsake as a jewelry box after your wedding. 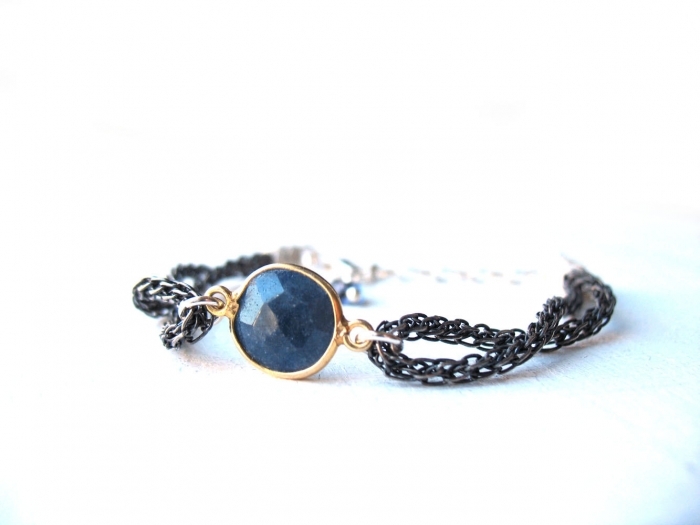 This lapis bracelet by eacarjewelry is unique and handmade, just for you! Another way to secretly incorporate this tradition is with a sweet and meaningful pin, such as this one by CherishUs. 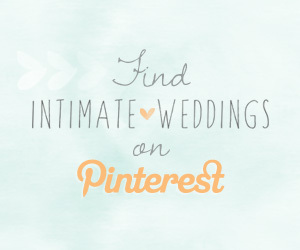 This pin fits perfectly hidden inside the bottom of the skirt of your dress.